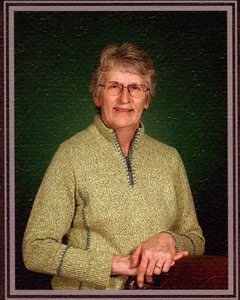 Valerie Dawn “Val” Kremer, 75, longtime Gardiner, Montana resident passed away peacefully on Wednesday, August 29th. A Mass of Christian Burial will be held at 9:00 A.M. on Saturday, Sept. 8th at the St. William’s Catholic Church in Gardiner. Mass will be followed by a celebration of Life at the Gardiner High School in the multipurpose room beginning at 12:00 P.M. A catered luncheon will follow the celebration ceremony. Valerie was born in Hammond, Indiana on August 9, 1943 to Orbert Hayward Hansen and Valera Bernadine (Troxel) Hansen. She was the second of three children. As an infant, Val moved to the Neillsville, Wisconsin area where she spent the next several years living in various places and attending country schools. In 1950 they moved to Montana where her Dad did timber work at Lone Mountain Ranch. In 1954 her family moved to Jardine and then to Gardiner where she attended school and graduated from Gardiner High School in 1961. Val lost her brother Del in 1962 and her Dad in 1972. Her Mom was always an important part of her life and lived to be 92 years old. Val graduated from Kinman Business University in Spokane, Washington, where she met her husband who was stationed at Gieger Field with the United States Air Force. Val’s connection to Montana brought them both back to Gardiner, where they were married on April 18,1964 at St. Williams Catholic Church. They raised four children who all graduated from the same high school. Her and her husband started in business 1 1/2 years after they were married. Val always played a key role in the business, working side by side with her husband and raising their family, which she never saw as work. Family was always important to Val and her kids have always been the main focus in her life which included five grandkids and two great grandkids. Val found enjoyment in sharing her love of the mountains and outdoors with her kids and grandkids. She often took the family on adventures in the area and told stories of living in and exploring Jardine. Val truly loved living here which meant she preferred to stay at home. Her need to visit her family, however, took her to many places, including overseas. Val loved to read, garden and tend to her plants, some of them more than 50 years old. Val also enjoyed visiting with and having coffee with friends. She found great peace in spending time outdoors and with her connection to animals. There was never an animal, large or small, feathers or fur, that she didn’t love or wouldn’t help or nurse back to health when necessary. Animals gravitated to Val, and she would go to great lengths for their comfort. Val is survived by her husband, Eugene Kremer, her sister, Linda Hansen Powell (Reed “Cub”) and her four kids; Wesley Kremer (Kersten), Leah Kremer McGinnis (Mike), Scott Kremer (Patty), and Clarinda Kremer; her five grandchildren, Justin Kremer, Megan Kremer Anderson (Taten), Jarrett Kremer, Laurel Kremer and Mike Kremer; and her two great-grandchildren, Brexley and Nataley Anderson. Memorials are preferred to the Gardiner Food Pantry, P.O. Box 459, Gardiner, MT 59030. Arrangements are under the care of Franzen-Davis Funeral Home and Crematory in Livingston.